SalesLogix is best installed by a certified consultant. 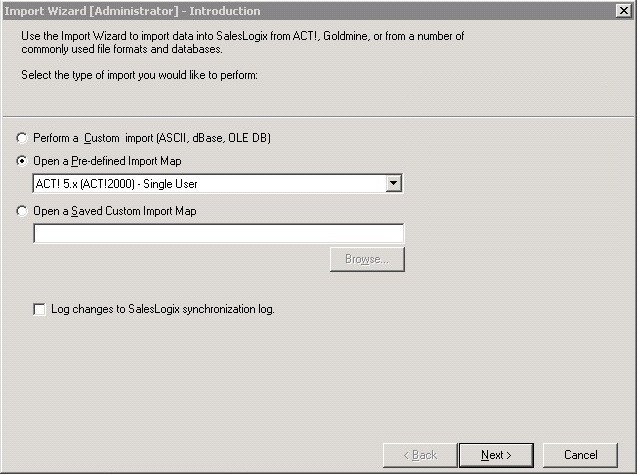 In 5.2 the import wizard is not included in the standard SLX menus. You can add it with the menu editor if you want. 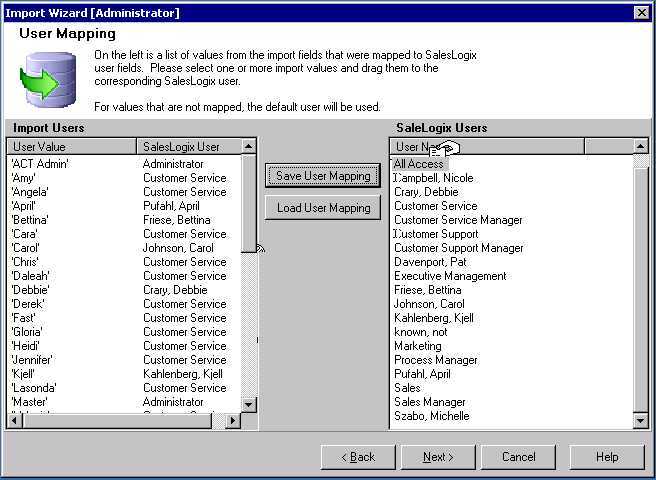 Anyway, just go to your standard SalesLogix directory (the default is)...C:\Program Files\InteractCommerce\SalesLogix\Sales Client\ and double click the import wizard. It's pretty much the same as previous versions. In this version it is no longer available in the Menu. 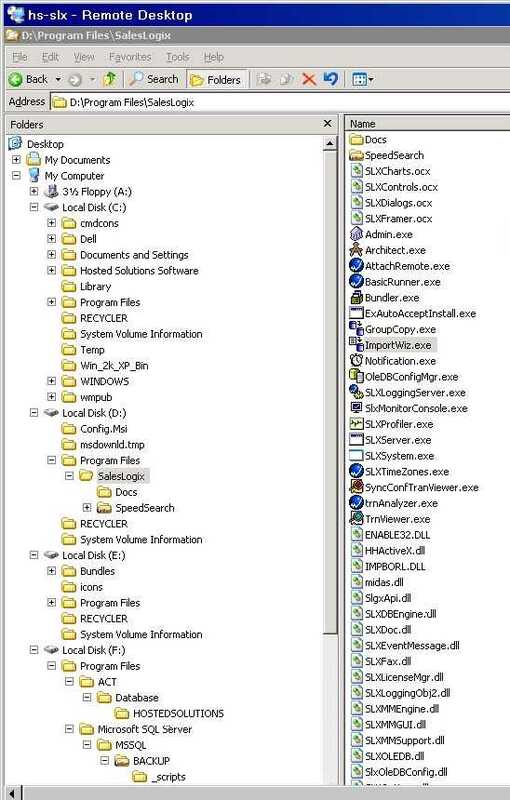 It is a separate .exe under Sales Client folder of your Slx installation. 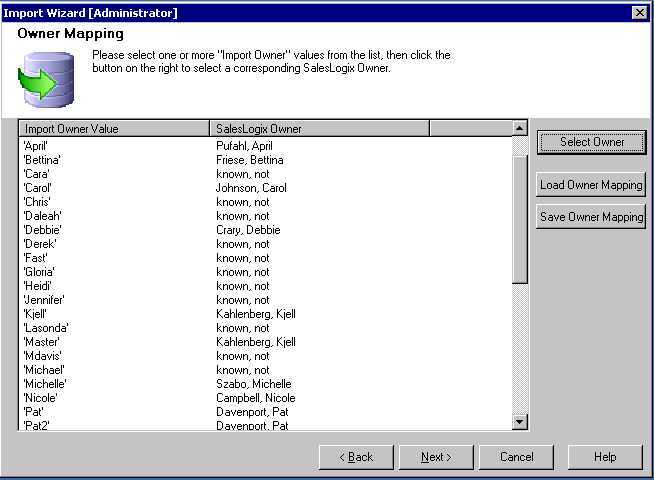 You can put a short cut on my desktop for it it is in "C:\Program Files\Interact Commerce\SalesLogix\SalesClient\ImportWiz.exe"
The import wizard is now run as a separate .exe application. 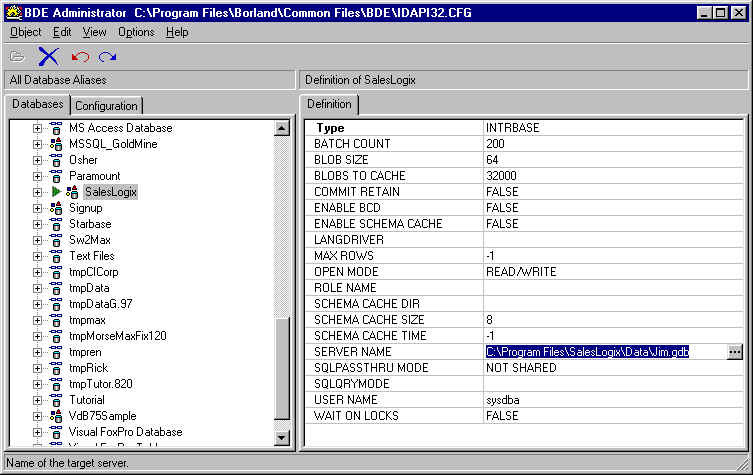 By default it is at C:\Program Files\Interact Commerce\SalesLogix\Sales Client\importwiz.exe. 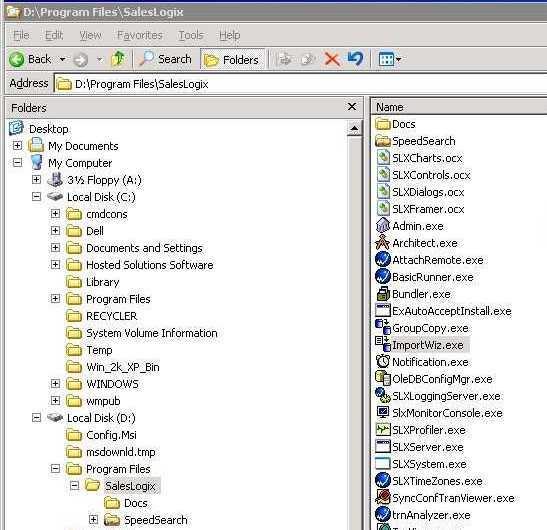 Look for the ImportWiz.exe program in the directory where you installed SalesLogix.net. 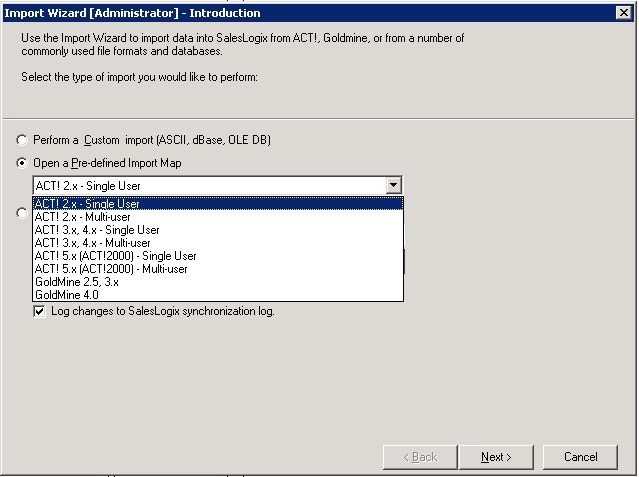 Log changes to SalesLogix synchronization log. Select the particular version you are importing from.